I use an educational approach to comprehensive financial planning based on sound strategies and ideas. My goal is to help individuals, families and small businesses pursue their financial objectives through a disciplined philosophy. I believe that proper financial planning is a process, not pushing products. I have access to multitudes of investment and insurance products as an independent financial advisor, so I will always analyze the specific financial needs, goals and objectives of every client individually, as well as sharing strategies and solutions that have been the cornerstones of my own personal financial planning over the years. Thank you for your interest and look forward to speaking with you! Fredericksburg Financial LLC is a company registered in the Commonwealth of Virginia and Washington State. 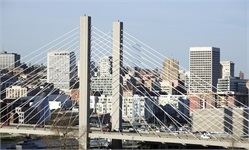 Tacoma Financial Strategies is a registered trade name in Washington State.